(3BL Media) Hershey, PA - April 26, 2012 - The Hershey Company (NYSE: HSY) today announced an innovative program to use GPS mapping to provide precise measurements of farm acreage as part of the “HERSHEY LEARN TO GROW” Farm Program in Ghana. 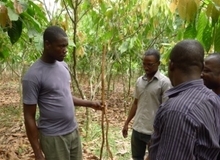 GPS mapping will help farmers better plan and manage their cocoa farms, increasing yields and farmer incomes. 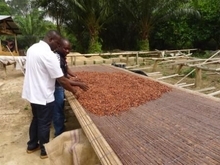 The HERSHEY LEARN TO GROW initiative was announced on January 30 as part of Hershey’s $10 million commitment in West Africa during the next five years to accelerate the company’s cocoa programs in the region. The investment will help improve cocoa farming and community health and reduce instances of child labor. Hershey also announced today that it has selected The Assin Foso District in the heart of Ghana’s central cocoa region as the site for this innovative HERSHEY LEARN TO GROW farm and community learning center. From this location, the program will help more than 1,000 farm families and 5,000 cocoa community members improve their livelihoods by learning the latest in modern farming techniques and agricultural stewardship, including appropriate and inappropriate uses of labor. In addition, Hershey and partner Source Trust will establish 25 community-based farmer organizations to improve the living standards of 1,250 cocoa farm families. Through good agricultural, environmental, social and business practices training; access to improved planting material; and financing for farm inputs, the goal is to double productivity yield and farm income over four years. These local organizations will be the home of the new farmer and family development that Hershey and partner Source Trust are creating in rural Ghana. Understand the actual size of their farms which makes it easier for farmers to make the best use of the latest practices in planting, pruning and fertilizer techniques for maximum yield and sustainability. 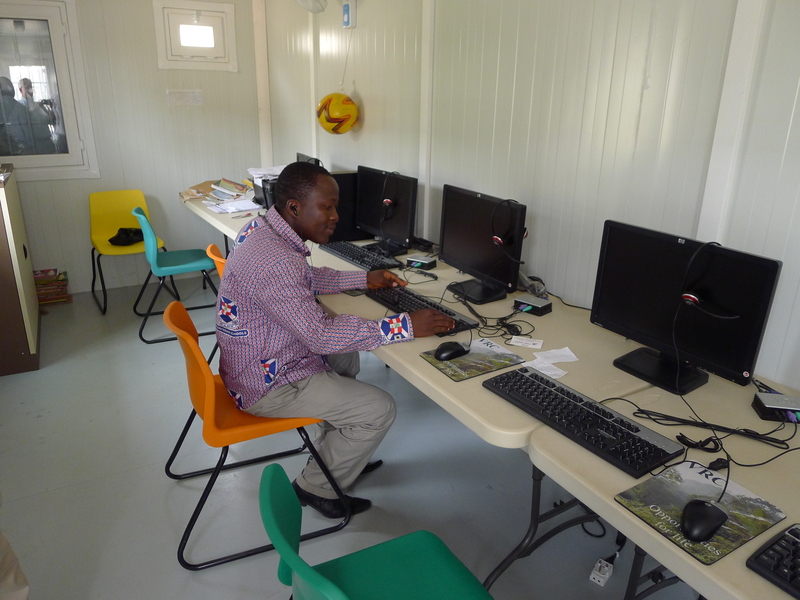 The innovative GeoT GPS process will, for the first time in more than 130 years of cocoa farming in Ghana, help 1,000 participating farmers accurately size their cocoa farms. Last year, Hershey introduced mobile phone technology for cocoa farmers in an innovative program called CocoaLink. GPS mapping and CocoaLink demonstrate that low cost and widely available technology are providing farmers with new tools to modernize their cocoa farms and boost their productivity and livelihoods. In addition to the GPS farm mapping initiative, Hershey and Source Trust are surveying participating farmers to better understand current farm characteristics, farming practices, and pest and disease issues. This information will be critical in establishing a baseline from which to begin to help the farmers implement the best new practices and processes for making their farms more productive, diverse and successful. The survey process also will look at key indicators for household risk of inappropriate forms of child labor. This will provide an important tool to help identify and monitor households at risk and to deploy information and programs to mitigate the risk of child labor. 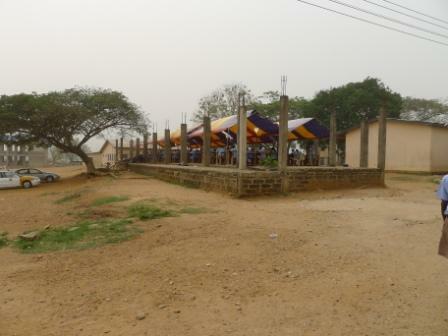 In addition, the HERSHEY LEARN TO GROW center will work with the Government of Ghana to help achieve their goals for the 2009-2015 National Plan of Action for the Elimination of the Worst Forms of Child Labor (WFCL). 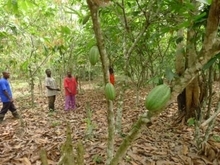 Improved farming practices directly enhance family, community and education in cocoa villages. More than 50 percent of farm family income in this region comes from cocoa, so higher cocoa yields translate into extra income for families, which enables them to invest in their well-being, including sending their children to school. The HERSHEY LEARN TO GROW farm center will supply farmers with high-yielding seedlings, better planting and pruning practices, methods for organic fertilization and biocontrol of insect pests to improve yields and incomes. The HERSHEY LEARN TO GROW program also will bring high-tech learning to rural farm villages through technology centers that provide computer access to local schools, farmers and the community. 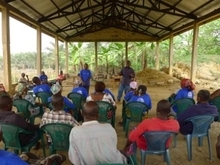 The training programs will be based on an interactive curriculum to teach cocoa farmers about optimal agricultural, environmental and social practices. The Hershey Company (NYSE: HSY) is the largest producer of quality chocolate in North America and a global leader in chocolate and sugar confectionery. Headquartered in Hershey, Pa., The Hershey Company has operations throughout the world and approximately 12,000 employees. With revenues more than $6 billion, Hershey offers confectionery products under more than 25 brand names, including such iconic brands as Hershey's, Reese's, Hershey's Kisses, Hershey's Bliss, Hershey's Special Dark, Kit Kat, Twizzlers, Jolly Rancher and Ice Breakers. Hershey also offers premium and artisan chocolate products under such brands as Scharffen Berger and Dagoba through the Artisan Confections Company, a wholly owned subsidiary. The company is focused on growing its presence in key international markets such as China and Mexico while continuing to build its competitive advantage in the United States and Canada. For more than 100 years, The Hershey Company has been a leader in making a positive difference in the communities where its employees live, work and do business. Corporate Social Responsibility is an integral part of the company’s global business strategy, which includes goals and priorities focused on fair and ethical business dealings, environmental stewardship, fostering a desirable workplace for employees, and positively impacting society and local communities. Milton Hershey School, established in 1909 by the company's founder and administered by Hershey Trust Company, provides a quality education, housing, and medical care at no cost to children in social and financial need. Students of Milton Hershey School are direct beneficiaries of The Hershey Company's success. Source Trust is a not-for-profit organization set up to help farmers improve their livelihoods through better crop yields and quality, through sustainable farming practices. 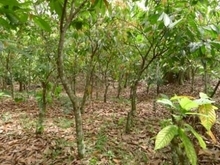 Source Trust’s projects pave the way for long-term, sustainable cocoa production, while enhancing farmers’ business prospects. Source Trust is funded by premiums paid by chocolate makers. These premiums are invested in the farming communities which supplied the chocolate maker’s cocoa. 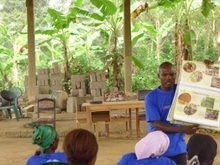 Projects delivered by Source Trust include farmer training on good agricultural practice, cocoa seed nurseries and planting material, farm inputs on credit, Village Resource Centers, Malaria Prevention and Community Infrastructure. For use of images, please contact Sara Goulet at sgoulet@hersheys.com.